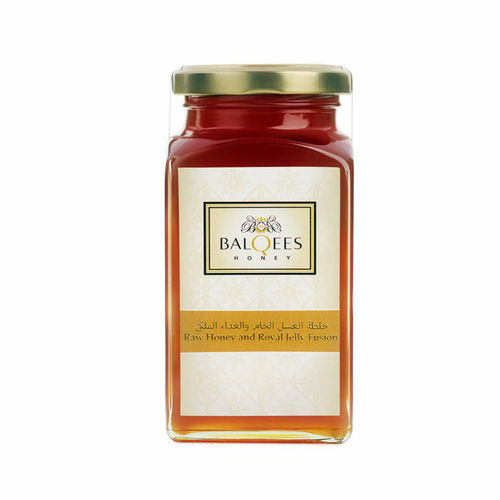 Our Raw Yemeni Honey is enriched with Royal Jelly which is unheated, unprocessed and unfiltered so all its attributes are fully preserved. Royal Jelly gives raw honey a distinctively appealing taste. It is an instant energy building food containing remarkable amounts of vitamins, proteins, lipids, glucides, enzymes, mineral substances, amino acids, antibacterial and antibiotic components and specific factors that act as a biocatalyst in cell regeneration processes and help preserve the youth of the human body.